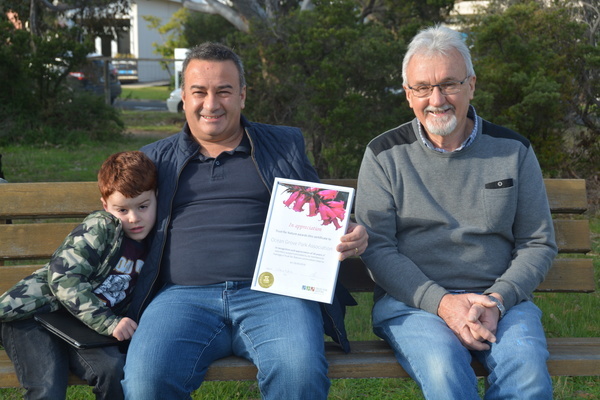 Ocean Grove Park has received an award for 18 years of voluntary service. Trust for Nature recognised the park members for their work in the upkeep of the town’s beloved park. Ocean Grove Park Inc was established in March 1996 with its main purpose being to save and develop the land for passive recreation and to protect significant indigenous vegetation. In February 2000, Trust for Nature became the owner of the park land. Eighteen years on and the park has a state of the art pavilion, playground and barbecue facilities and is home to the Ocean Grove Cenotaph. The park land and its upkeep are run completely by local volunteers. Ocean Grove Park president Don Pietrapertosa told the Voice that the park needed more volunteers. “We’d love to see if we could get some younger families to come on as members,” he said. “It’s $5 per person per year. Ocean Grove Park hosts a number of important local events, including Carols in the Park, the Tranquility Fair and movie nights. 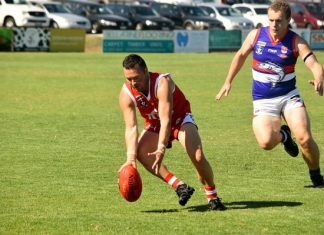 “We welcome any community support,” Mr Pietrapertosa said. See www.oceangrovepark.org.au for details on how to contact the park committee. Next articleTime for restraint in park?